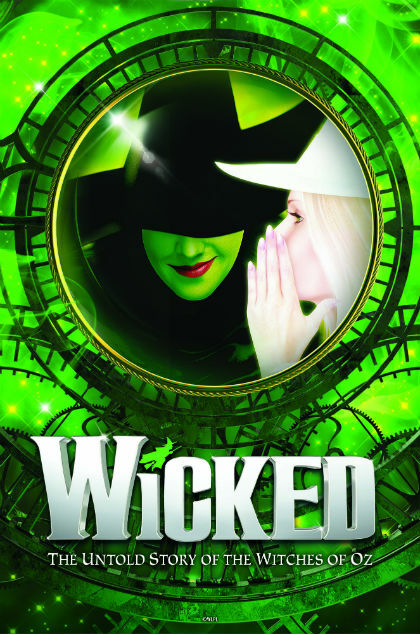 WICKED, the West End musical phenomenon that tells the incredible untold story of the Witches of Oz, celebrated an extraordinary 10 years at London’s Apollo Victoria Theatre on Tuesday 27 September. Already the 8 longest running show currently playing in the West End. On Saturday 12 November 2016, Wicked will become the 18 longest running show in West End theatre history, surpassing the run of the original production of Miss Saigon at the Theatre Royal Drury Lane. One of only three Broadway transfers in West End theatre history to ever run 10 years or more (the two others being Disney’s The Lion King and the 1997 revival of Chicago). Already seen by nearly 8 million people in London alone, the production has employed over 1600 people, as well as multiple contractors and companies, since its London premiere. The first show in West End history to gross over £1,000,000 in a single week (week-ending Saturday 1 January 2011). The production has gone on to break this record on many subsequent occasions, most recently during week-ending Saturday 2 January 2016. Winner of 2 Olivier Audience Awards, 9 WhatsOnStage Awards (including ‘Best New Musical’ and ‘Best West End Show’), a Visit London Gold Award, an Evening Standard Theatre Award and over 100 awards worldwide. In celebration of Wicked’s 10 birthday, theatre owner ATG has invested in the complete refurbishment of the Apollo Victoria Theatre auditorium and Front of House areas. All seats and carpets have been replaced with designs replicated from the original design of the Grade II* listed venue that first opened its doors, as the New Victoria Cinema, in 1930. Wicked is produced by Marc Platt, Universal Stage Productions, The Araca Group, Jon B. Platt and David Stone. The Executive Producer (UK) is Michael McCabe.